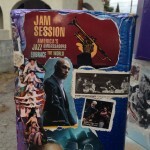 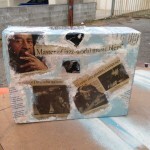 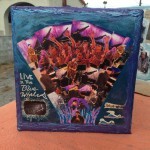 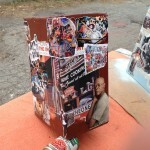 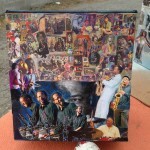 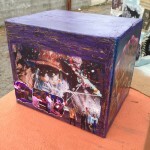 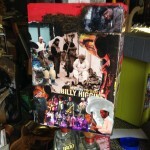 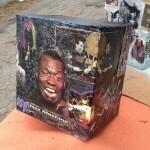 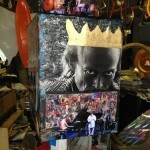 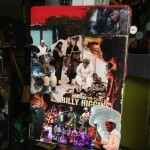 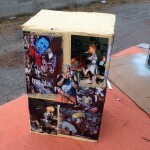 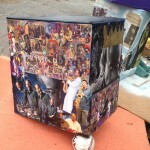 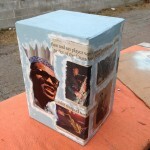 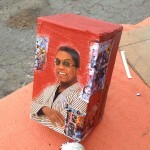 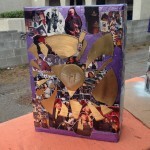 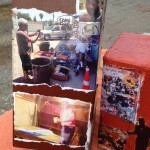 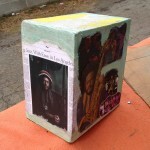 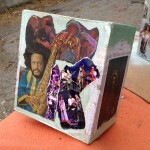 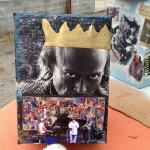 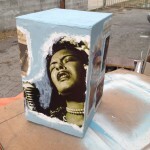 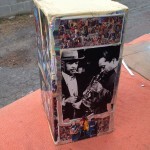 Following his success working with Charles Dickerson, Ray is creating jazz boxes. 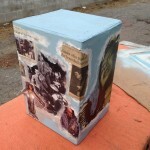 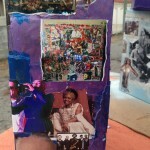 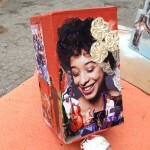 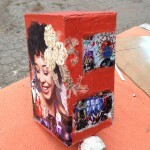 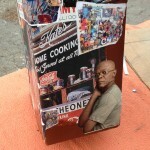 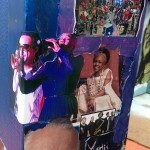 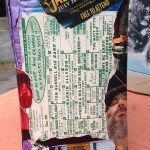 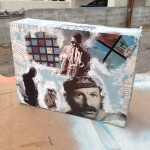 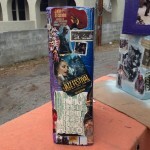 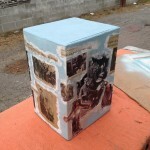 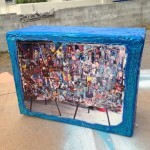 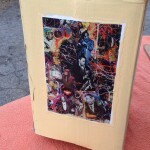 Collage sculpture on cardboard boxes of various sizes. 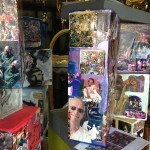 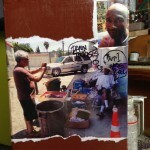 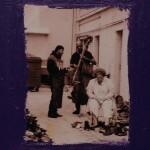 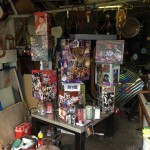 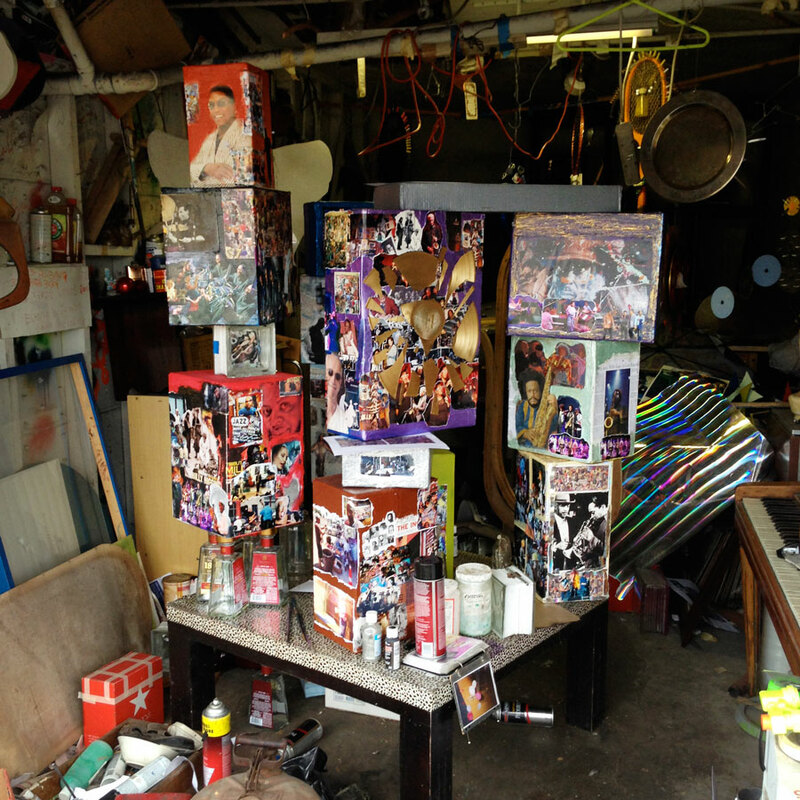 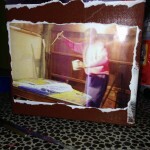 He includes color copies of his own paintings and past works in the collages.